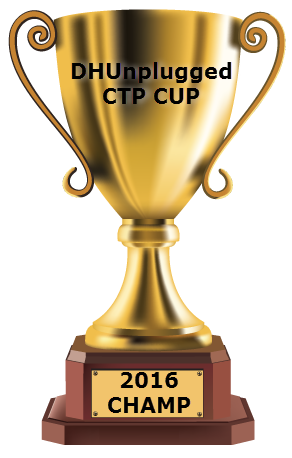 Each month, throughout the year, we will be holding a special CTP contest for the Dow Jones Industrial Average. The winner of each month will be eligible to compete in year-end final where we we will crown the champ. The Dow Jones Industrial Average (DJIA) is a price-weighted average of 30 significant stocks traded on the New York Stock Exchange (NYSE) and the NASDAQ. The DJIA was invented by Charles Dow back in 1896. Winner of this contest is = John J.